One of Kat Robinson’s business cards states that she is a writer, storyteller and idea generator. 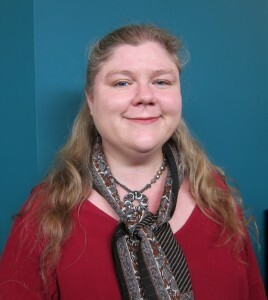 Another says that she serves as Communications Manager of Arkansas Department of Parks and Tourism. I am sure Kat owns even more cards, because it’s hard to sum up the career of this creative, talented woman on two tiny slips of paper. Kat is busy. She blogs at the impressive Tie Dye Travels. She photographs for a variety of concerns. And she writes books. 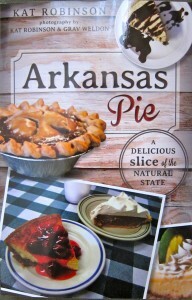 (Her first “Arkansas Pie: A Delicious Slice of the Natural State,” combines a food-focused travelogue with some divine recipes. 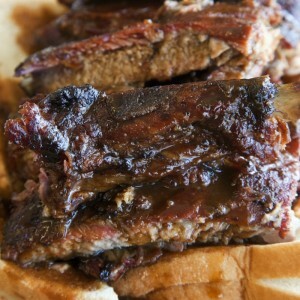 Her second, “Classic Arkansas Eateries: A Delicious Tradition of Dining Out,” will be released at the end of 2013. I have a hard time choosing favorites in a town like this. But if you’re new, and you want to savor the flavors this town has to provide, here are my top choices. There are always arguments on who does the best burger (The Root, Hillcrest Artisan Meats, Midtown Billiards and Big Orange are in the running)… but the one simply called The Burger at CBG is my favorite. Made from house-chopped sirloin and chuck, it’s cooked to order and served with parmesan fries and house made pickles. I suggest adding pimento cheese; others will fight me on that and go for the in-house cured bacon instead. That being said, the southern favorites that grace the menu are also tops – from crispy fried chicken to fried catfish and all sorts of great side dishes. Get the potato salad if it’s offered. Read more about Capital Bar and Grill’s burgers HERE. For 20 years, Sami Lal has played host and chef at his pink-walled establishment on the west side of town. Known for its consistency and Sami’s fantastic memory (visit once and he will never forget to welcome you by name whenever you return), Star of India excels in Northern Indian cuisine. 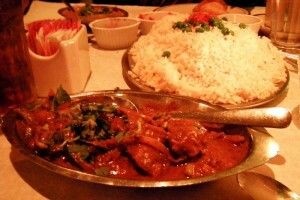 The kormas are legendary; and for a real treat, try the Vegetarian Delight with its many small dishes. Lunch is also fantastic, at just $6.99 for a 17-item weekday buffet. Read more HERE. Twenty years after the transition from the building’s incarnation as the DMZ, Vino’s Brewpub still hosts great up-and-coming musical acts. 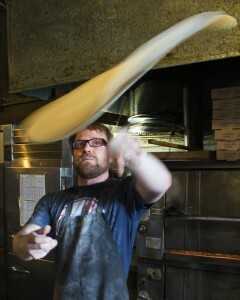 But the real stars are on the menu – a half dozen fine brewed ales and stouts made right in the restaurant – and pizzas and calzones with a very distinctive flavor. My choice is always the veggie calzone – enough for two, packed with mozzarella and ricotta and vegetables and served with the almost smooth marinara that also makes the joint’s pies perfect flat creations. Read more HERE. Few restaurants so quickly gain a following as The Root—which just goes to show how much Little Rock natives craved a reasonably priced 100-mile restaurant. 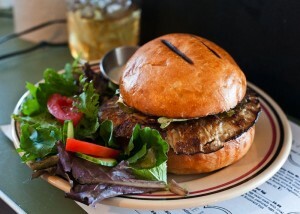 The little diner, which took up residence in the old Sweden Creme dairy bar in late 2011, serves up a mean curried chicken salad sandwich, a gourmet burger and all sorts of daily specials – all conjured from within a short range (except the Diet Coke – a concession had to be made there). This is THE spot for vegans, hipsters and even breakfast connoisseurs, anchoring the fast-growing SOMA district. More information HERE. Arkansas’s contribution to barbecue isn’t the meat – it’s the slaw. For a true Arkansas barbecue sandwich, whether it’s pork or beef (most places offer both), there’s slaw on the sandwich itself. Sim’s offers its slaw on top of a pile of your choice of shredded meat soaked with its sweet and tangy barbecue sauce between two slices of white bread. You will find yourself licking the plate. Click HERE for more on Sim’s slaw. Good, reasonably priced Mexican fare fit for the American palate, but not so over commercialized as to ruin the flavor, if you know what I mean. 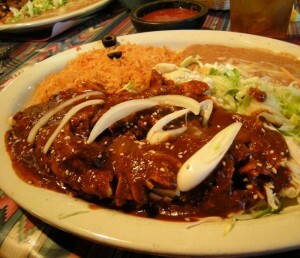 Casa Manana’s menu is thick as a book, and the mole is a revelation. The margaritas are the best in town, done the classic way on the rocks. There’s a smaller café in the Oppenheimer Market Hall downtown, but you’ll find more to choose from if you head out to Cantrell Road. Read more HERE. 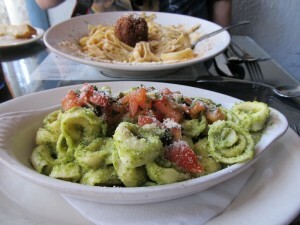 This little storefront on 7th Street may be the best Italian food you can get for the money in town. At lunch, you can get a special and a great dessert for under $10. The pesto tortellini is to die for, and the focaccia is hot, fresh and served with not only olive oil and black pepper but also a fresh onion and bell pepper offering. Did I say you should try dessert? I should…well…click HERE here to read more. The oldest continually operating restaurant in Little Rock keeps its traditions strong — with escalloped eggplant casserole, chicken and dumplings, stuffed bell peppers and more. You won’t find a better selection of congealed salads anywhere — and the range of pies and cakes available each day is a decision-maker’s nightmare. Read more about Franke’s HERE. Pronounced CREE-gun’s, this is the place for getting your Irish on. 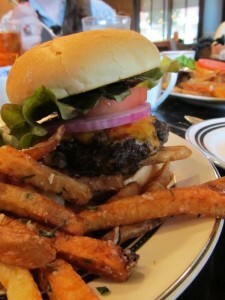 The custom built pub is the cornerstone for dining in North Little Rock’s Argenta District. 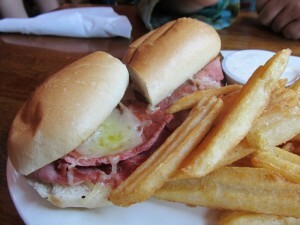 Go sit in the Snug, have a pint and enjoy the best corned beef sandwich in Central Arkansas. You don’t go to Chip’s for the barbecue. 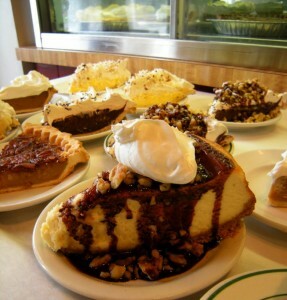 You go for the taco salad, the cheese dip, the Muffin Special… and for the pies. Locals don’t do a lot of sharing when it comes to Chip’s Barbecue. They know competition’s already tough for whole pies picked up for Easter, Thanksgiving or Christmas and they don’t want the competition. 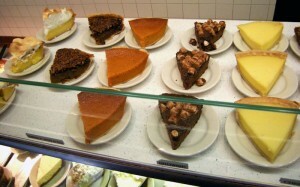 Whether it’s a cream pie, nut pie or pie full of fruit, Chip’s is the in-town favorite. More about Chip’s HERE.